Congratulations, you have been chosen to be a preceptor! Maybe you have accepted, or maybe you are considering it but have qualms. Or perhaps you are an experienced preceptor, and love precepting, but struggle with the right words when you have to provide constructive feedback. Here are some great tips to help with your next critical conversation. Preceptors are hand-selected by their nursing managers. If you have been asked to serve as a preceptor, it’s because your nursing manager views you as a top-performer. They trust you with the important job of on-boarding a new employee. The successful on-boarding of new nurses is extremely important because nurses who do not feel that they “belong” within the first six months of hire are at high risk of leaving the organization. 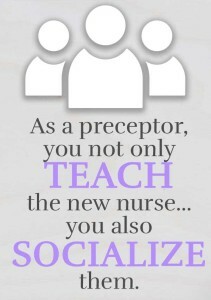 As a preceptor, you not only teach the new nurse how your organization expects the job to be done, but you also socialize them into the nursing unit. Being a preceptor is often the first step to leadership roles. Skills needed to be a successful preceptor include patience, the ability to motivate learners, communication skills to provide pertinent feedback, and the ability to present information with clarity (break it down). Perhaps most importantly, preceptors must be supportive. The best preceptors establish a supportive, mutually respectful relationship with their preceptees. Effective learning takes place in a safe, non-judgmental environment. Be sure and enter your precepting experience here on your ePortfolio. Don’t have an account yet? It’s easy, just start here on Staff Garden. Whenever you need a resume, you can instantly generate one from your account. Future employers look favorably on applicants with precepting experience because it demonstrates initiative and is an endorsement of your skills. It’s highly important to keep your resume up to date and Staff Garden makes it easy. Your future self will thank you, guaranteed! The number one thing preceptees want from you, their preceptor, is feedback. It’s relatively easy to role model how to be a competent nurse. It’s far more difficult to provide constructive feedback when your preceptee is having performance problems. Delivering constructive feedback is one of the most challenging situations preceptors face. Too often preceptors, and even managers, avoid conflict by avoiding uncomfortable critical conversations. An example of this avoidance is when a new nurse reaches the end of orientation only to be told “It’s really not working out”, or, worse, “You’re just not cutting it”. Many times in these instances there’s no documented action plan or record of performance problems. The new nurse is stunned. It’s not that there isn’t a performance problem. It’s that no one has articulated the performance problem and expectations to the new nurse. 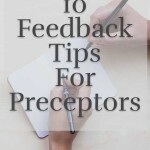 The number one thing preceptees want from you, their preceptor, is feedback. [icon name=”twitter” class=”” unprefixed_class=””] Regular, consistent feedback on their performance. If they are asking “How am I doing?”, chances are they are not receiving enough feedback from you. When planning a critical conversation, address the concern as a performance discrepancy. Your preceptee is performing in one manner and they need perform in a different manner. The manner expected by the organization. The difference between what they are doing and what they need to do is a performance discrepancy, simple as that. 1. Seek agreement to meet. “Kim, can we talk?” This conveys respect. Find a private area for the conversation. Always praise in public and provide constructive feedback in private. Attempt to provide feedback as soon as possible. This communicates the importance of the issue. 2. Introduce the topic. Don’t beat around the bush. • “Kim, I have observed…” • ”It’s been brought to my attention…” • “It’s been reported to me…” Is it OK to talk to your preceptee about issues that others have reported but that you have not directly observed? Absolutely, as long as the sources are credible. Once you hear the same concern two to three times from different sources, you can be fairly certain that it’s valid. Do not reveal the names of your sources. Steer the conversation back to the issue at hand, which is the preceptee’s performance. Give one or two examples. Be factual; do not interject your interpretation or opinion. Just the facts- what was observed or reported. Seek for understanding as you listen to their answers. Remember, you only have half of the story. “Can you tell me about how you decided to do a complex dressing change at 0900 before doing your med pass?” “Are you aware of Happy Hospital’s policy on personal cell phone use?” Seek for understanding as you listen to their answer. [icon name=”twitter” class=””unprefixed_class=””] You will then be better equipped to help them. You have also communicated that you expect a rationale for their practice decisions. Do you know for certainty what policy says about the issue? Consult your manager and read the policy if you are not sure. “I am concerned that…”. Frame it as concern for them. 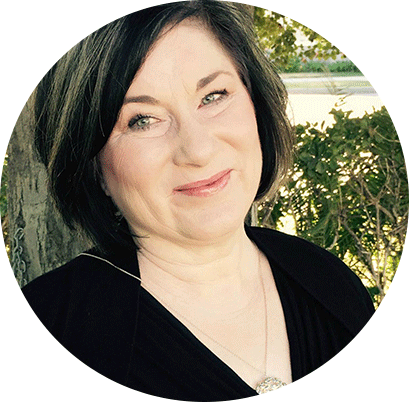 “It’s really going to help you be successful when you start delegating tasks to your nursing assistant.” Alternatively, frame the concern as what’s best for the patient. “Properly securing a urinary catheter after insertion reduces infection and prevents CAUTIs”. “Leaving the bed in high position could result in patient injury” “I would hate for you to get into trouble if you continue to use your cell phone in patient care areas”. 8. Use “loaded” words sparingly. Loaded words include “You”, “You should…”, “You need to…” and “but”. Whatever accolade preceded the word “but” in a sentence is negated. TIP: Substitute “and” for “but”. Here’s an example: “That IV start was great, but you left the sharp on the bedside table”. Instead:“That IV start was great, and always remember to dispose of your sharps safely. The sharp was left on the bedside table”. See the difference? 9.Reach agreement on what is expected in terms of performance. • Reach agreement It’s important to differentiate learning needs and problems from other performance discrepancies. As a preceptor, you are responsible for their learning needs, but the manager is responsible for non-learning performance issues. An example is an employee who is repeatedly late to work after you have spoken with them. This is not a learning need, it is a non-learning performance discrepancy that needs to involve your manager. Being a preceptor can be immensely rewarding. It’s also an opportunity to expand your communication skills. Best wishes and happy precepting!